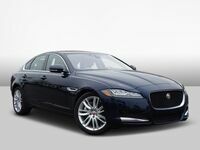 Across the model lineup, Jaguar offers sports sedans that deliver exceptional performance, possess refined and luxurious interiors and feature an abundance of state-of-the-art technology. With such a high level of automotive excellence, the most difficult decision for a luxury car shopper may be deciding on which Jaguar to buy. With this 2017 Jaguar XE vs 2017 Jaguar XF analysis, we've made things a little easier for you by comparing the all-new compact Jaguar XE with the midsize Jaguar XF. On the performance front, both sedans offer a range of powerful and high-tech engines, from the 2.0-liter 4-cylinder, offered in gasoline and efficient diesel versions, to the 3.0 liter Supercharged V6, which is offered in a 340-hp version for the XE, and a 340-hp and 380-hp version for the XF. Both vehicles feature the advanced aluminum intensive architecture developed by Jaguar Cars that provides impeccable ride, handling and dynamics. This new architecture facilitates a near perfect balance, supporting an agile and precise drive. Also, the All Surface Progress Control (ASPC) developed by Jaguar helps make the XE and XF easier to drive in challenging conditions, allowing you to maintain optimum control, providing assistance in slippery conditions. As the larger of the two sedans, the obvious advantage of XF is space, both for passengers and storage. It offers a trunk volume of 19.1 cu-ft, compared to 15.9 cu-ft for the XE. The XF also offers a little more luxurious interior, especially for the center stack. While the XE features a more traditional center stack design, the XF has more luxurious design elements. Both vehicles offer a plethora of advanced technology, including the innovative InControl infotainment system. It's a hub for connectivity, control and entertainment. Key features include 8-inch touchscreen, navigation guidance, Bluetooth phone connectivity, integrated text-to-voice, precise climate control and Jaguar InControl Apps. If you're on a more limited budget, the XE is the better choice. 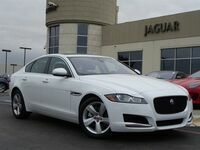 It has a base MSRP of $34,900, which is over $13,00 cheaper than the XF ($47,450). Despite the lower price, the XE comes well-equipped with a host of premium amenities, offering much value for luxury car shoppers. This includes automatic wipers, auto stop/start for conserving fuel at rest, electronic parking brake, remote keyless entry, push-button start, auto-dimming rearview mirror and leather-wrapped steering wheel. Both the XE and XF are exceptional choices, and you really can't go wrong with either one. Ultimately the choice comes down to the affordability of the XE vs the more space and slightly higher level of luxury for the XF. If you live in the San Antonio-area and would like to find out more information about either the 2017 XE or 2017 XF, then don't hesitate to contact us at Barrett Jaguar!